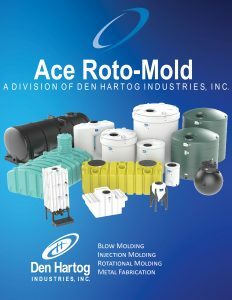 Ace Roto-Mold, a division of Den Hartog Industries, is well known for quality plastic tanks and accessories that fit a variety of industrial and agricultural containment needs. In addition to the extensive line of Liquid Storage & Containment tanks manufactured by Ace Roto-Mold, this division also produces Septic/Cistern tanks, Marine Products, and Custom Rotational Molded products for a variety of industries. From 2.5 gallons to 15,500 gallon capacities, the Ace Roto-Mold division can provide for your Liquid Storage & Containment requirements. Ace Roto-Mold’s Septic/Cistern line leads the industry in strength and durability. Plastic Septic tanks are the future of wastewater management. 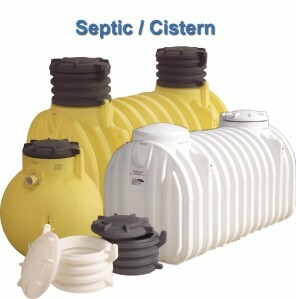 Plastic Cistern tanks are FDA-approved to store potable water. 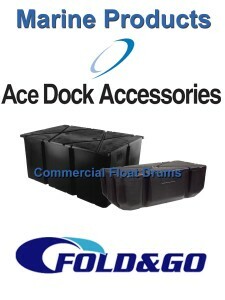 Marine products including float drums and dock accessories are rotationally-molded to provide durability and excellent protection. 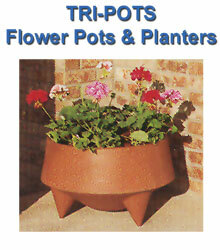 These lightweight, attractive, durable, and affordable flower pots have three cone-shaped legs. TRI-POTS are available in 20″ and 27″ diameters, and come in a variety of colors. 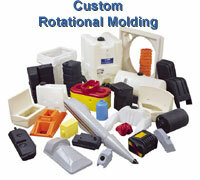 Custom plastic products in a variety of shapes, sizes, colors, and materials can be developed with the help of our design and engineering team.